I never took to ballet (nor any activity that required grace and coordination), but it doesn’t mean I can’t appreciate the aesthetic. Being a girl, it’s hard not to love the ankle-flattering lace-up shoes, tulle skirts, and soft pink color palette. 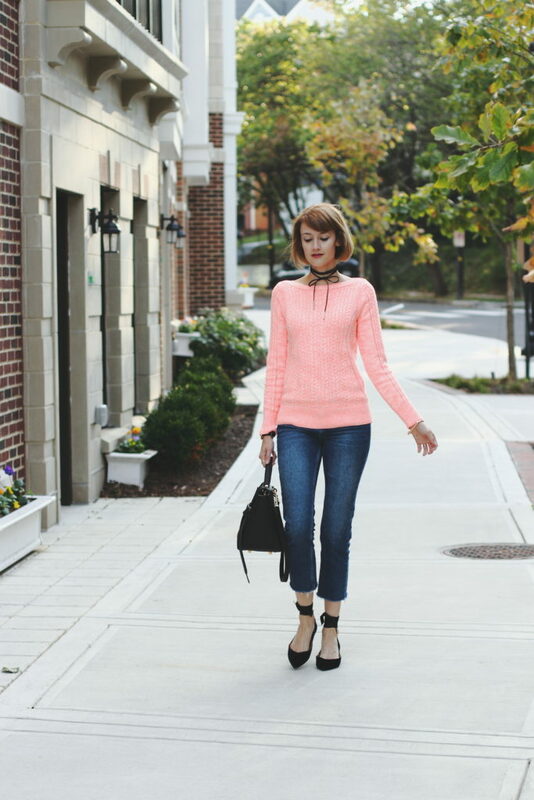 Banana Republic recently sent me two pieces from their fall collection that embody that feminine look – a pair of beautiful velvet ribbon-wrapped flats and a pretty pink sweater that, when combined, allow one the delusion that they might pass for an off-duty ballerina. I don’t know about you, but I’m fully embracing the velvet trend this fall and these cute flats are a surprisingly versatile and practical way to dive right in (as you can see, they’re perfect for small child wrangling!). Check out a few of my other favorite pieces from Banana Republic’s fall collection below! Loooove those flats!! The velvet makes them so luxurious! I love this outfit…it is so pretty! 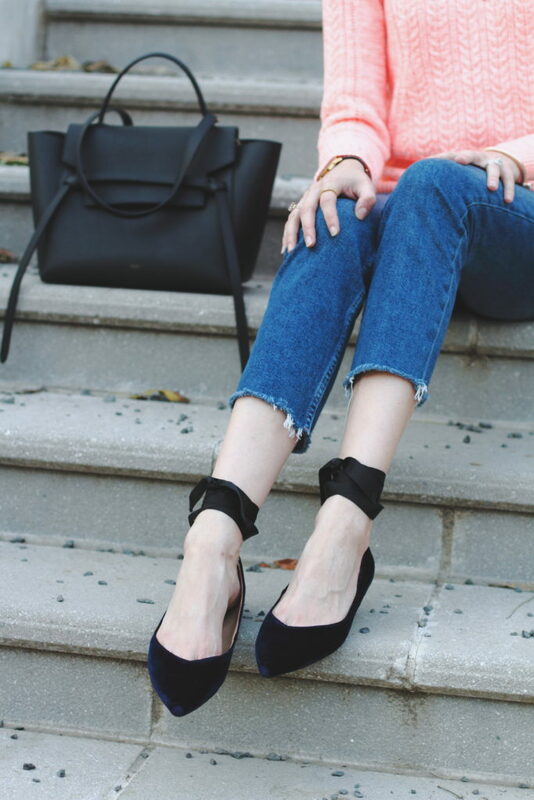 I definitely want a pair of those velvet flats! That last picture is my fave! Great outfit and the shoes are darling. I have zero coordination and my limbs are too short for ballet ! but, like you I am totally attracted to all the girly items that can come from ballet stages. I think you look marvellous and your baby is SOOOO cute ! Lovely pieces! Loving the ballet vibes. You are always so chic. This is such a sweet look. You’ve styled the two items flawlessly! I seriously adore those flats! Ooh this is definitely a wonderful, ballet-esque look! Aww and your little one is getting so big!! !